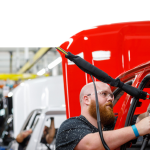 The cloud software giant and legendary car builder are teaming up to encourage innovation in manufacturing. For manufacturers in today’s tech-powered world, remaining competitive means turning to new and emerging tools, with IIoT (Industrial Internet of Things), automation, 3D printing, digital twins and data analytics, all potential tools at their disposal. This forthcoming age of connected, digital and technologically-enhanced machinery in the quest of supply-chain optimization and slashed operational costs if often referred to as Industry 4.0. To this end, cloud giant Microsoft and German carmaker BMW have teamed up in efforts to spur innovation towards the vision in an initiative called the Open Manufacturing Platform (OMP). According to the firms, the open technology framework and community, built as a result, will support the development of smart factory solutions across the automotive and broader manufacturing sectors. Key goals for the project include accelerating future IoT developments, shortening time to value and drive production efficiencies by providing a reference architecture with open source components based on open industrial standards and an open data model. In addition to facilitating collaboration, the platform— built on the Microsoft Azure industrial IoT cloud platform— is designed to unlock and standardize data models that enable analytics and machine learning scenarios, from data that has traditionally been managed in proprietary systems. The BMW Group plans to contribute relevant initial use cases to the OMP community. Currently, it has 3,000 machines, robots and autonomous transport systems with IoT and AI capabilities. Members of the community will be able to utilize these and others, as well as sample code, to develop their own services and solutions while maintaining control over their data. One such example is the firm’s use of their IoT platform for the second generation of autonomous transport systems in its plant in Regensburg, Germany. 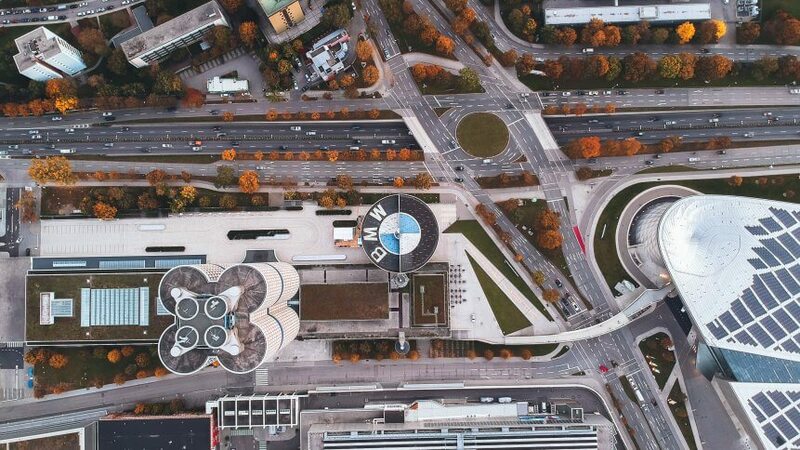 As one of 30 of BMW Group’s production and assembly sites worldwide, its logistic processes have been greatly simplified via central coordination of the transport system. 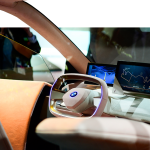 “Mastering the complex task of producing individualized premium products requires innovative IT and software solutions,” said Oliver Zipse, member of the Board of Management of BMW AG, Production. “The interconnection of production sites and systems, as well as the secure integration of partners and suppliers, are particularly important,” he added. Zipse said that the OMP platform is the next step to make solutions available to other companies and jointly leverage potential in order to secure the firm’s position in the market in the long term. “This is very good news for the manufacturing industry,” said Stefan Hoppe, president and CEO of the OPC Foundation. “The use of open international industry standards such as OPC UA in the OMP community enables manufacturers, machine builders and suppliers to integrate their existing equipment and systems efficiently and securely,” he added. Hoppe said that for a long time, companies have promoted proprietary, closed ecosystems, so the OMP commitment will shape the future of manufacturing. According to Reuters, this is the second alliance of its kind after Volkswagen and Amazon Web Services joined forces to link 122 group plants of the automaker in order to improve production systems and processes. Recently, the International Data Corporation (IDC) reported that worldwide spend on the Internet of Things (IoT) technology could hit US$745 billion in 2019. The majority of this year’s spend is within the manufacturing industry— more specifically in discrete manufacturing (US$119 billion) and process manufacturing (US$78 billion)— where uses of the technology will be focused on supporting operations and production asset management. With the above figures in mind, it’s perhaps unsurprising that the IDC believes IoT services could account for the largest technology category in 2019. As the data explosion from IoT systems continues to accelerate in the manufacturing sector, ‘hyperscale’ cloud computing providers are clamoring for a piece of the action, as these two deals show, and this trend looks set to continue well into the foreseeable future.